According to Bloody Disgusting, an Italian auction website is going to be selling off a bunch of items once owned by Stanley Kubrick’s longtime assistant Emilio D’Alessandro, including the corduroy jacket worn by Jack Nicholson in The Shining, a bunch of props from Full Metal Jacket, and—perhaps most interestingly—a supposedly never-before-seen extended cut of The Shining that includes a scene where “Wendy, played by Shelley Alexis Duvall, carries Danny, played by little Danny Lloyd.” Kubrick supposedly destroyed all unused footage from the movie after editing it, so this could be an extremely rare and valuable collectible for a diehard fan of the movie. It doesn’t sound like this is the same extended cut that was partly found by fans last year, as that one involved Wendy and Danny recovering in a hospital after the horrible events at the Overlook, but perhaps there’s some carrying involved in it and they are indeed the same. Either way, if you want to be able to say that you’ve seen a slightly longer version of The Shining than pretty much every other person on the planet, you can snag this thing for about $3,700. Rare prints of iconic films aside, the real joy of this auction is the series of handwritten letters and notes that Kubrick gave to D’Alessandro. Unlike the cut of The Shining, these seem to have virtually no historical significance and are therefore much sillier. 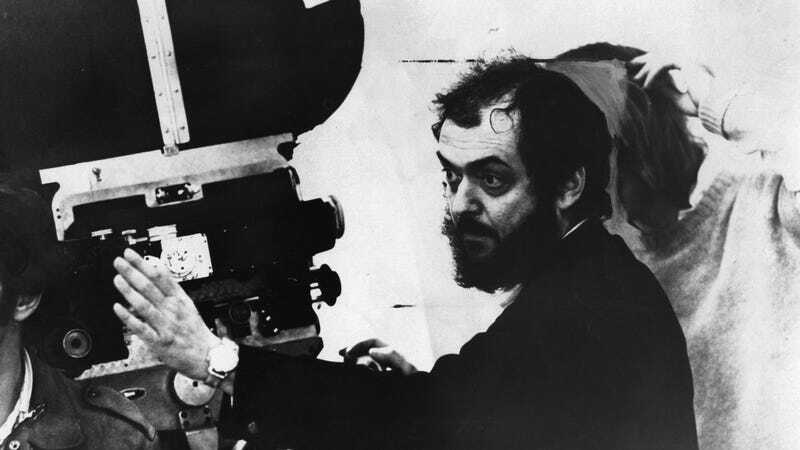 Who wouldn’t want a piece of paper in which Stanley Kubrick lays out his plans for the weekend? Or a letter in which he told D’Alessandro that there was “a weirdo” at his door one night and that he had to call the cops? How could you even put a price on something as delightful as Kubrick writing a note to his assistant that just says “Have a good trip!” or that he found his missing wedding ring? You can check out this missing ring paper (and the other stuff) at this link. Spoiler alert, but the ring was on "carpet next to bed"